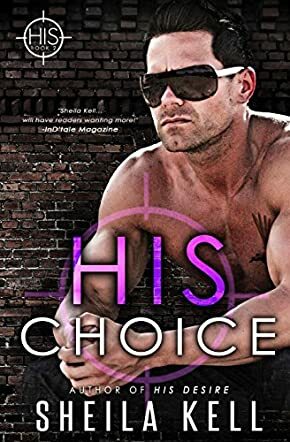 Sheila Kell’s His Choice is the second entry in the HIS Series, an engaging blend of sizzling romance with suspense, one of those stories that delight fans who love romance with powerful plots and intense action. AJ Hamilton is a killer. A merciless one. This time, his orders are very simple. Warn the woman, threaten her, make her scared enough to stop. Megan Rogers is a reporter, and she seeks justice for her brother, knowing the dangers in the way. She is stubborn and determined, the very traits that got her brother into trouble. “He’d never have given up and neither would she,” but when a man who has been sent to threaten her deliberately kisses her, and later saves her from certain death, things change irrevocably for both of them. As their romance intensifies, the threat to both their lives becomes more powerful and they must fight to keep ahead of the man known as the Magician, while figuring the best way to expose him. AJ is thrust into a dilemma where making a choice would cause huge danger to the life of the woman he has come to love passionately. Sheila Kell is a mistress of the genre and she has a gift for crafting well-rounded, rock-solid characters and scenes that are emotionally charged and interesting. Readers will love the mix of romance and action as they follow the heroes of this tale. I enjoyed the idea of a killer falling in love with a reporter. The twists in the story are many and they are designed to give readers sudden jolts and surprises. His Choice is intelligently plotted, masterfully written, and well-balanced. You’ll finish reading and find yourself thinking about the characters.